"We Need Girl Names like Washington Needs A Real Banner"
#Babywatch2017 Update: no baby, no false alarms, not nearly enough viable girl names, and unfortunately for you "The Office" fans out there, no missing water bottles. Seriously though, the Rob Ray "This is SportsCenter" commercial (which was based on this infamous Rob Ray incident) might be the high-water mark of all ESPN self-referential advertisements. 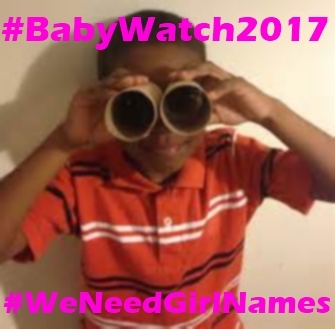 As always, go ahead and click the links. Your life will only be improved. 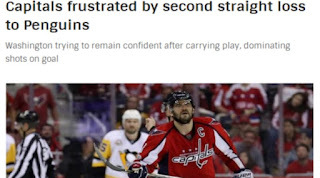 ...and not "The Penguins Keep Coming Up With Ways to Beat the Capitals"
...and not "Penguins Thrilled by Second Straight Win Over Capitals"
...and not "Penguins Confounding Capitals, Near Another Series Win"
I'm certainly not questioning the quality of the writing or the pieces' collective veracity, I'm simply commenting that the narrative du jour is clearly the failings of the Capitals and not the success of the Penguins. 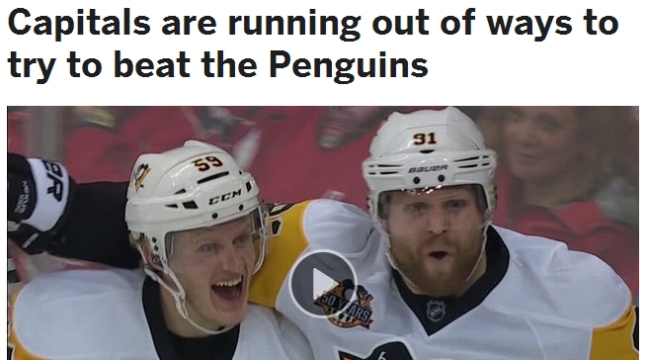 As such, it's very fair to argue that the Penguins, despite having a 6-1 record in the playoffs compared to Washington's 4-4 mark, are clearly an underdog to win the series and repeat as Stanley Cup champions. ...so, where's the nearest sports gambling book to Pittsburgh? Granted, as the article says, that "favorite" status probably has a lot to do with our friends in America's Hat (looking at you, Canada!) betting heavily on their new favorite son in Connor McDavid & his Edmonton Oilers. Given that the Oilers' fans scrounged up a winning 50/50 in-game raffle ticket worth nearly– and this is not a typo– $337,000, it seems like the fanbase and Canadians in general are willing to try and make hay on the first Canadian team to claim the Stanley Cup Championship since the Montreal Canadiens in 1993. 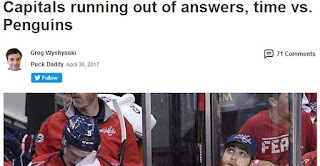 The amount of pressure facing the Capitals has to be extraordinary, and while it's certainly delicious to see Mia "Hitler > Crosby" Khalifa crying on Twitter, because though we tease and taunt, that woman went a million times over in her comments and deserves all the misery sports can delve out to such a person. 1) Carl Hagelin appears healthy, but isn't making much of a difference yet on the ice with his speed. Until Hagelin & and the Penguins are able to send a puck ahead of him and he starts making Capitals defenders back off the blue line because they respect his elite puck retrieval skill-set, he's only partially "back." 2) Patric Hornqvist seems unlikely to play in Game 3. The injury to Hornqvist hurts significantly if he is unable to play, because the Penguins have nobody that matches his unique combination of skill and otherworldly annoyance factor. 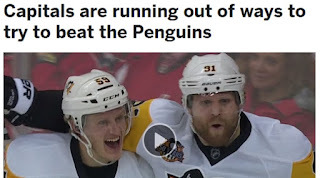 3) The first goal on Monday night will be unnaturally huge in terms of predicting the outcome of the game, especially if the Penguins are the team to get it. 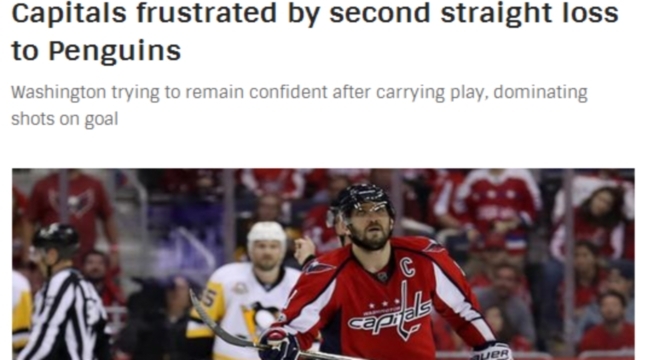 Any dose of "Here we go again..." for the Capitals and they'll collapse. 4) Malkin has been spotty through two games. He was the best player on the ice during the first period of Game 1 and showed some flashes of individual talent in Game 2, he really wasn't drawing the attention he needs in order to free up his teammates (in particular Kessel). Malkin has to show a willingness to shoot in order to properly engage the players defending him. 5) Holtby is one bad goal away from total disaster. The Caps' fan base is scared. His teammates are scared. He's scared. Hope everyone enjoys the game later tonight! Remember, if Washington loses, it's all S&G's until what would hopefully be the series sweep clincher on Wednesday.